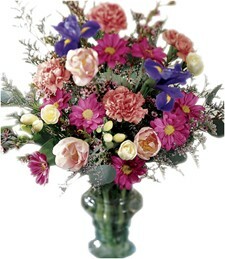 Add a breath of fresh air with colorful flair! 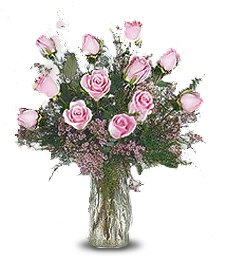 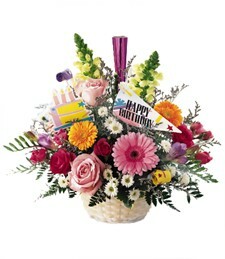 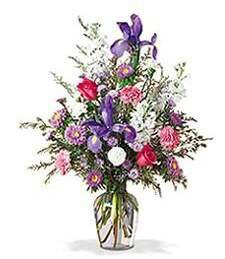 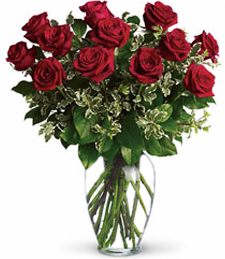 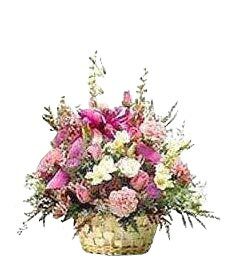 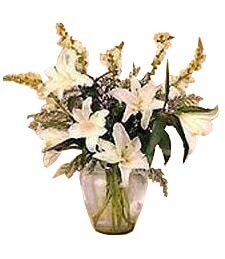 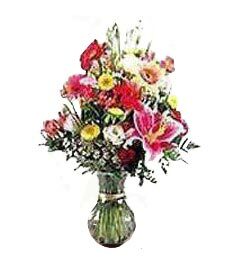 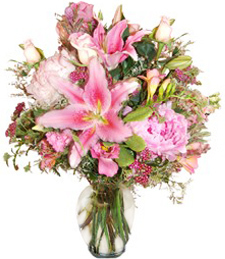 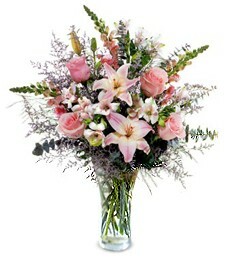 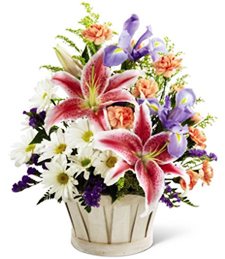 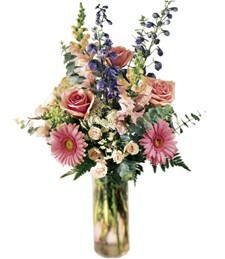 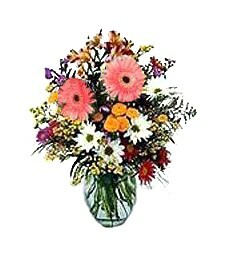 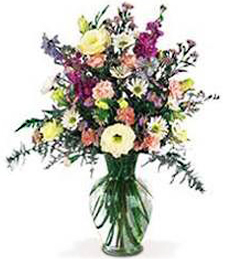 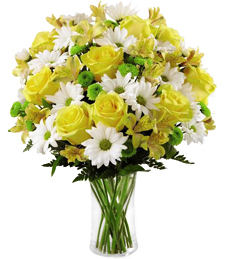 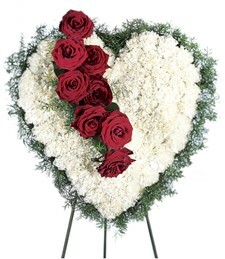 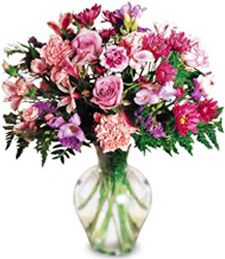 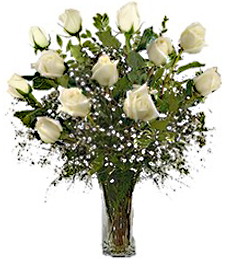 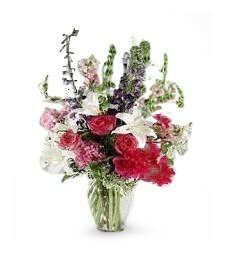 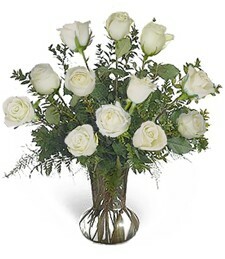 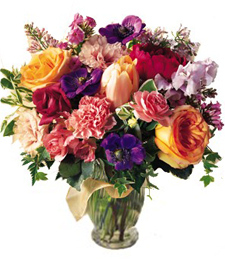 Beautifully arranged in a glass vase, this birthday bouquet truly adds a wonderful touch of radiance to the room. 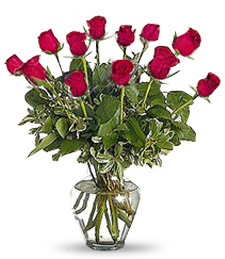 The Essence of Life possesses a profound sense of charisma, sensuality, and affection meant to charm that special someone on any occasion. 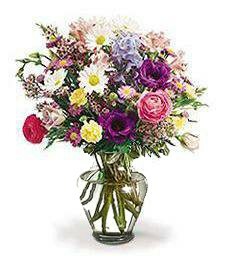 Abounding with color and fragrance, this assortment of blue, pink and purple roses and daisies creates a cheerful and bright bouquet of blooms.